Llangennith Beach, also called Worm’s Head, is a short drive from Swansea, an old Viking settlement turned college town in modernity. The drive quickly leaves civilization behind and meanders through green pastures dotted with sheep, until the ocean comes into view. The beach of Llangennith is three miles long and can be accessed by a short walking path. There is a little town by the beach, with some pubs and quaint bed-and-breakfasts. There are also miles of waves, sand dunes, craggy rock faces and sheep. Surfboards and wetsuits can be rented from a little shack and parking is cheap. (A bus shuttles to and from Swansea during the summer months.) To the left of the beach is the island of “Worm’s Head,” from old Norse “Wurme,” dragon or serpent. The dragon is accessible twice a day at low tide. Head North towards Snowdonia and there’s a disused mine turned trampoline-zipline-fun house suitable for adults and children. Colored lights turn the entire cavern into a magical jungle gym below ground and it’s easy to see why it’s called “the greatest playground ever.” Tickets start at £20. 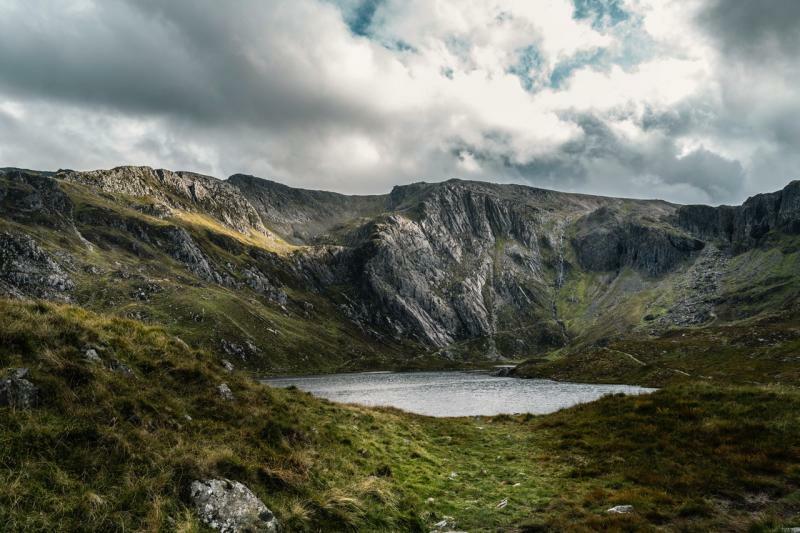 Snowdonia National Park is vast, rugged, and wild and includes an extensive network of trails, over 100 lakes, miles of glacial landforms and mountains. The highest summit in Wales and England, Mount Snowdon offers views across the sea to Ireland on clear days. The weather in Wales can transform Snowdonia into cool, misty and mysterious, and other days into green, fresh and breezy. This is definitely a destination for the adventurous, the bold and the hearty. Be sure to bring a good wind-breaker! Tourists can also enjoy the scenic Snowdon Mountain Railway, which has been taking travelers to the very top of Mount Snowdon (weather permitting) since 1896. Do note that there is a £3.50 booking fee when buying tickets with a credit or debit card, so it is recommended to take cash. Welsh words are a real tongue-twister for the English palatte and this one is no exception! Pronounced “ace-teth-fod” (the “dd” is a “th” like “that”) the Eisteddfod is a festival of literature, music and song in Welsh. The tradition goes back to the 12th century and in modern times it is celebrated in the first week of August. Everything takes place in Welsh; of course, nearly 100% of the Welsh population speaks English so a lack of Welsh vocabulary is no reason to skip out on the occasion. When hosted in Cardiff, Wales’ capital city, the event takes place within the castle grounds. Tickets for this year’s Eisteddfod, held in Llanrwst, Conwy County, go on sale on the 1st of May. Meaning “the church of St. Mary in the hollow of white hazel trees near the rapid whirlpool by St. Tysilio's of the red cave,” this is the longest place-name in Europe and the second longest in the world. There has been human settlement in the area since the Neolithic era, but its popularity grew when the long name was supposedly contrived in 1869 as a publicity stunt. The name references the whirlpool in the nearby Menai Straight (called “the Swellies” locally), the “red cave” not really within the town limits and a small chapel called St. Tysilio on a nearby island. It’s fun to stand beneath the name at the train station and get your photo taken! 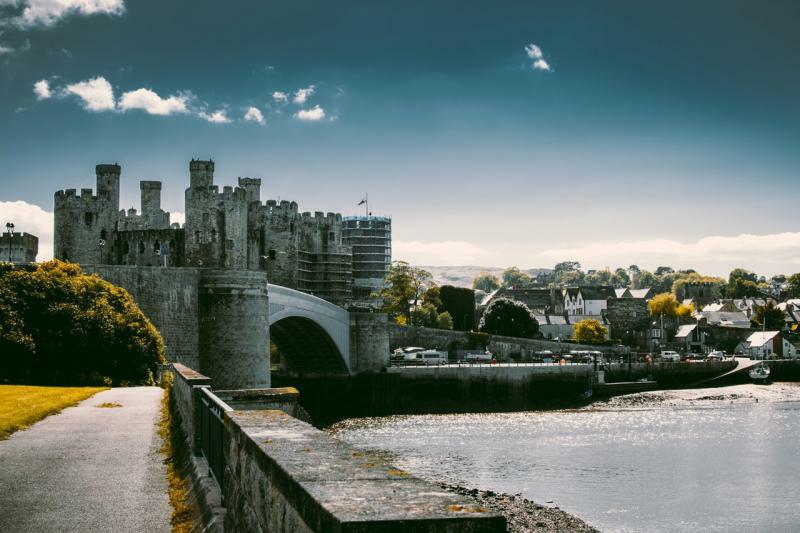 Wales is a small country, easy to explore and is populated by some of the kindest and most generous persons one can hope to meet while vacationing. If Britain is on your list of places to visit, consider spending some time within the Welsh borders.